We transformed the plain white hallways and common rooms around the school with colourful wall wraps. High resolution photographs of Oxford and London along with sports and science themes were printed onto vinyl and laminated for extra durability. These were then fitted at the school to totally transform the look and feel of the space. As a small company based in Oxford, there’s nothing we like more than to get involved with the local community. Headington School, Oxford is an independent, all-girls school in the area that is renowned for its impressive facilities and extra curricular activities. Headington School, Oxford wanted to rejuvenate some of their hallways and common spaces. Why keep walls plain and white when they could reflect the spirit of the space and create lasting impressions? We spoke with the administration at the school and discussed their options when it came to full vinyl wall drops. The staff agreed on the photos they wanted for each particular space, curating the photographic themes to the activities carried out in the room in question. We printed in wide format on digital vinyl and then laminated everything for extra durability and easy cleaning. School walls are subject to some serious wear and tear and we wanted to be sure the vinyl wall stickers would last for several generations of girls. We did multiple site visits over the course of a few months because every time we finished one room the school would come back and ask for more. Can you blame them? When you compare these engaging walls to a boring white wall there’s no question which one the children and teachers like more! Want to cover your own walls in vinyl stickers? If you are looking for high quality custom vinyl stickers for your own walls and common rules then get in touch. Whether for a school, your office, or your home. 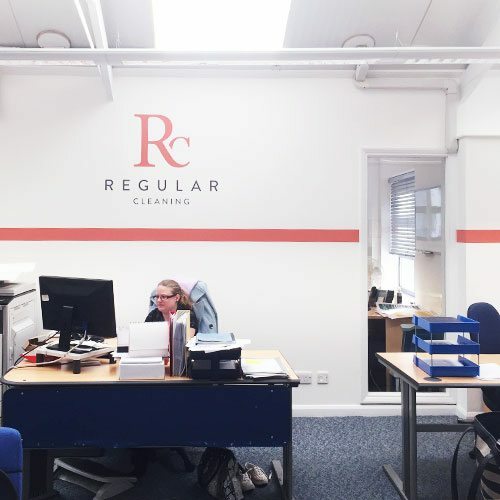 We take on all projects big and small and there’s nothing we like more than to work with other people and business in our local area.